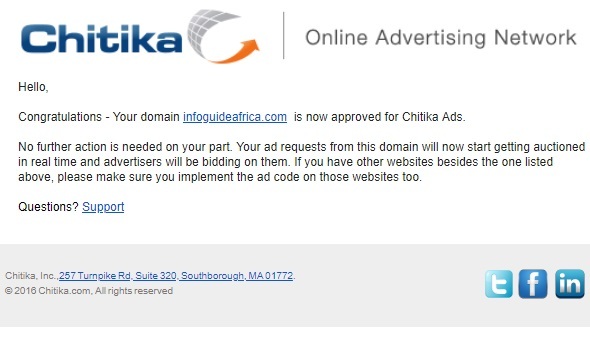 Chitika ads is one of the most popular ad networks in the world and a good alternative for Nigerian bloggers that got disapproved by Adsense. It is a good way of monetizing your blog if you don't want to other methods like affiliate marketing and sales of your products (or you want to combine them). It is one of the different ad networks that you can use together with Google Adsense, some blogs even stated that combining Chitika ads with Google Adsense has been proven to increase income by up to 50%. It was founded in 2003 by Venkat Kolluri and Alden DoRosario after they left their jobs at Lycos (a search engine-based company). So far, the ad network is used by over 30,000 publishers and serves over two billion impressions (monthly). In fact, I haven't seen or heard that any site was disapproved by them. I added InfoGuideAfrica and in less than 24 hours, I got this email form them. No minimum traffic requirement, in fact my other blogs also got approved the same day. Payoneer is one of the most popular payment gateways for sending and receiving international payments. It makes it very easy for you to accept payments from your websites. If you want to create a Payoneer account, click here or visit this page to see the full tutorials on how to create a Payoneer account free of charge. Also, I think they can pay via PayPal and check though I didn't see the option in my own dashboard, the payment methods might vary from one country to another. Read Next: If you don't have a Payoneer account yet, click here to create one now for a $25 bonus! The Chitika ads are auto-resized in mobiles to suit the mobile views. This is a good news if your visitors are mostly mobile users. I conducted a research before writing this post and I didn't see any complaint of Google banning anyone's Adsense account because he added Chitika codes to his blog. So it is fully compatible with Adsense. Chitika has many different Ad spaces and options for publishers to choose from. Below are the available ad choices. You have the option of choosing the one that you think will be the best for your users. All you have to do is to select the choice one and click on generate code. You can use Chitika Ads irrespective of your niche. If you are yet to start a blog, you can view this most lucrative blogging niches for Nigerian bloggers. It's minimum payout is $10 so it's very easy to use. However, if you are withdrawing through checks, you have to make a minimum of $50. Their customer care service reply in less than 24 hours. Apart from that, they also have a good knowledge base that answers most of your questions. Like they always say, everything that has an advantage has a disadvantage. Chitika ads is not an exception to this and we can't call it a day without listing some of the disadvantages. Chitika shows their ads mostly on traffic gotten from search engines and it's a kind of bad news for people that use other traffic sources like Twitter. When compared to Adsense, Chitika ads offers a lower Per Per Click. In case you are still new to blogging, visit this page to learn more on the definition of Pay Per Click, it's uses and how to increase it. If you are a publisher using Chitika ads, you need to learn how to optimize your keywords in order to maximize your profit. If you use Google Adsense before applying for Chitika, you'll know that their earnings are low when compared to Adsense. However, Google Adsense is the largest ad network in the world and their are many other ad networks that still pay lower than Chitika. Having looked at the reviews, pros and cons of Chitika, if there is anything that we didn't ad, do well to drop them as a comment in the box below or contact us for it. 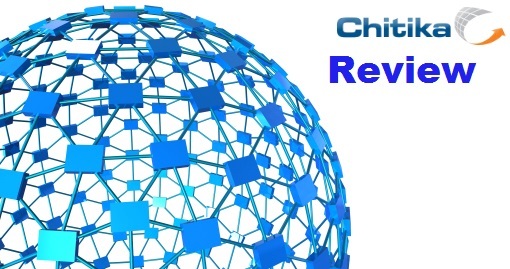 Please Note: Chitika ad network has been shut down due to due to termination of their partnership with their biggest exchange partner. To find out more, kindly visit this page. If this post helped you, also share it to your friends to benefit them.